Exciting news! 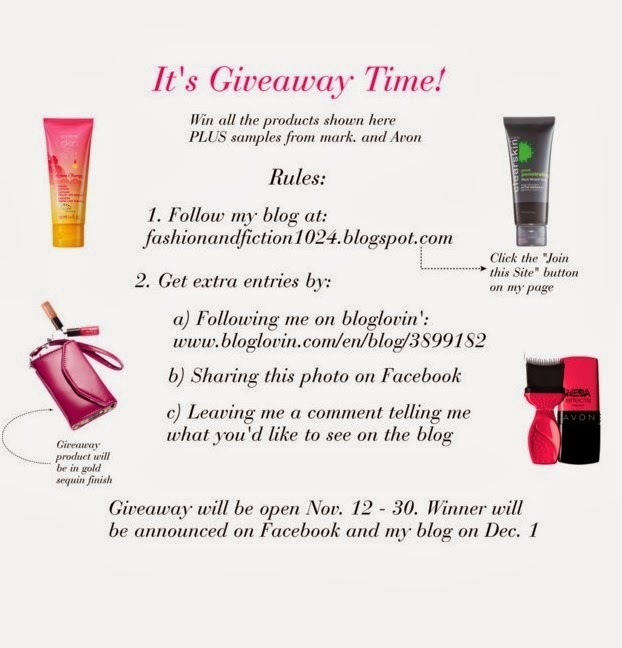 I'm holding a giveaway! As some of you may know, I've decided to no longer sell mark. and Avon products. However, I have full size and sample products that need a good home. I want one of my lovely followers to win this prize. Plus samples of eyeshadow, lotion, blush, skin care and perfume. All the details and rules are below. Good luck! Labels: Avon, give away, giveaway, mark.